A shrew is extremely small. The shrew is similar in appearance to a mouse but with a longer nose and smaller eyes. 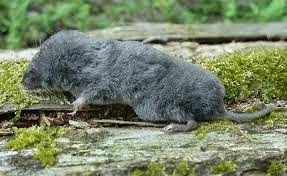 The shrew is not a rodent but a mole like mammal. Shrews eat more food for their size than any other animal. Their metabolism is tremendously fast causing them to burn off energy which they need to replenish all day long. They do this by eating almost continually. Hazel is a shrew. Her brother is Phillip and her sisters are: Charlotte and Molly. They live on a farm in North America. The farmer who owns the land doesn’t like mice because they eat grains and wood. 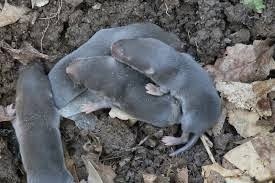 The farmer likes to keep shrews around because they eat insects and worms that can hurt or destroy crops. It's difficult for the farmer to train cats to kill only mice and not shrews. Cats think shrews look and smell similar to mice. Hazel and her siblings stay clear of the cats and the mice. This is difficult for them because of their eyesight. Shrews have poor eyesight and use their ears and noses to detect objects around them. Most of the time, they can smell the cat early enough to get away. The sibling got busy eating bugs and bad worms. Hazel, Phillip, and Molly worked very hard eating and searching for insects. Charlotte ate, but not as fast and dependable as the other three. She took breaks often and got distracted from her task until she became too hungry, then she ate. Charlotte sat next to the wall as she watched her sibling and mom climb up on the cat’s back. The cat ran around the yard. She took short leaps to make the ride more fun for the shrews. Charlotte heard their giggling. Charlotte was a little sad because she couldn’t go on the ride. The next day as soon as the sun started its ascent, the shrew got busy. They ate and dug for more bugs. Charlotte still didn’t work hard. Her mom didn’t know what to do about her lack of attentiveness to her duty. Each day Charlotte ate less and played around instead of working. The cat took the others for rides. Still, Charlotte didn’t seem to care. “Why don’t you eat a lot bugs, Charlotte?” asked her mom. Charlotte didn’t respond. Mom knew something was terribly wrong with her. She shook her. Charlotte barely opened her eyes. Her mom ran to get a bug for Charlotte to eat. Charlotte barely opened her mouth. Her mom forced small bites into Charlotte’s mouth. She ate a small portion. Her mom forced more food into her mouth throughout the next few days. Finally, Charlotte got strong enough to sit up. Soon, she walked around. Charlotte went back to work the next week. It had been a close call. Charlotte was good on her word. She worked harder than she ever did in the past. She took short breaks and found plump bugs to eat. Charlotte learned working was better than being lazy. She found out working felt good and it made her healthy at the same time. How are you at working? Do you do your best? Your work is school work, chores, and helping your parents or siblings on projects. Ask your parents what your work is so you can do the best job you can. I Corinthians 4:12 And we labor, working with our own hands. Colossians 3:23 And whatsoever you do, do it heartily, as to the Lord and not to men. 2 Thessalonians 3:10b If anyone will not work, neither shall he eat.